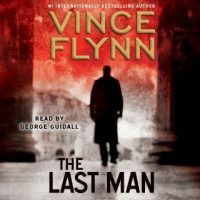 I noticed in Vince Flynn’s March newsletter that he is posting audio excerpts on his website, www.vinceflynn.com, for THE LAST MAN – the most recent Mitch Rapp novel. In all, Flynn is giving fans a preview of the first eight chapters, almost two hours of audio in total! The last two Rapp Series books went back in time to show us how Mitch Rapp became the meanest, toughest, baddest CIA Counter-terrorist Operative ever. American Assassin set the stage and showed us the whole selection and training process and gave us just the right amounts of insight into his psyche. The second prequel, Kill Shot, was a great action thriller and showed us more about Rapp’s development history. With The Last Man, we are back to a modern-day setting in Afghanistan, where a CIA agent has gone missing.